Leaks can get old. When it comes to Samsung, Google, and Apple phones these days, there are rarely surprises leftover for the date that each company decides to announces them. 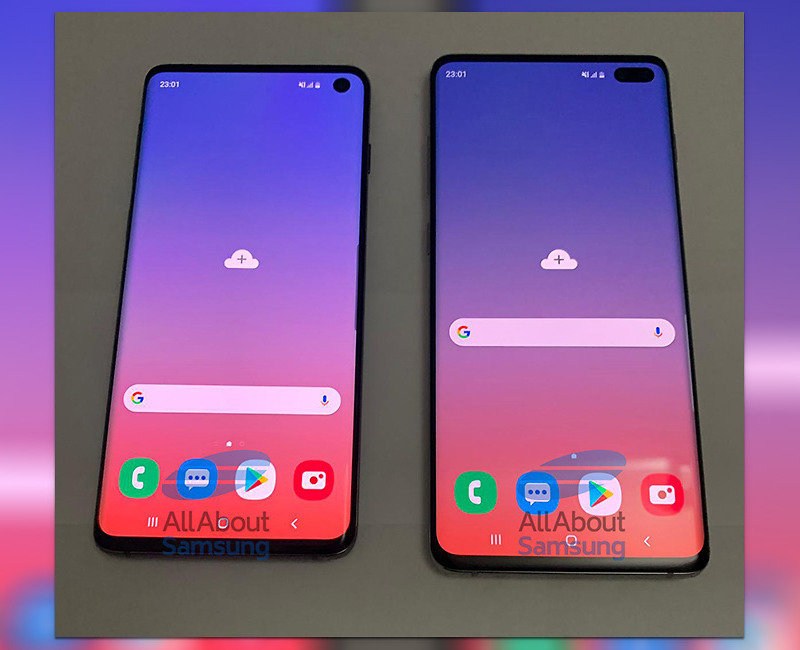 I don’t feel like we’re at the “old” point with the Galaxy S10 and Galaxy S10+, though, mostly because the high-quality leaks are only just beginning. Today, we’ve got a spicy new Galaxy S10 and S10+ leak too. These are supposed to be prototype devices, but they sure do look clean and polished. We get a great view of the front of each, with front camera cutouts included, as well as looks at the familiar Samsung back design. On that Galaxy S10, the single front camera hole in the display, which looked large yesterday, looks tiny next to the S10+’s double punch for its dual-front cameras. As I mentioned yesterday, I’m cool with these holes vs. notches, but that double hole is really messing with the top status bar in ways that make me uncomfortable. Overall, the frontside (above) looks like the most Infinity yet. Those top and bottom bezels are greatly reduced from past Samsung phones, leaving a look that really is all-display. The backside looks like so many previous Samsung phones. 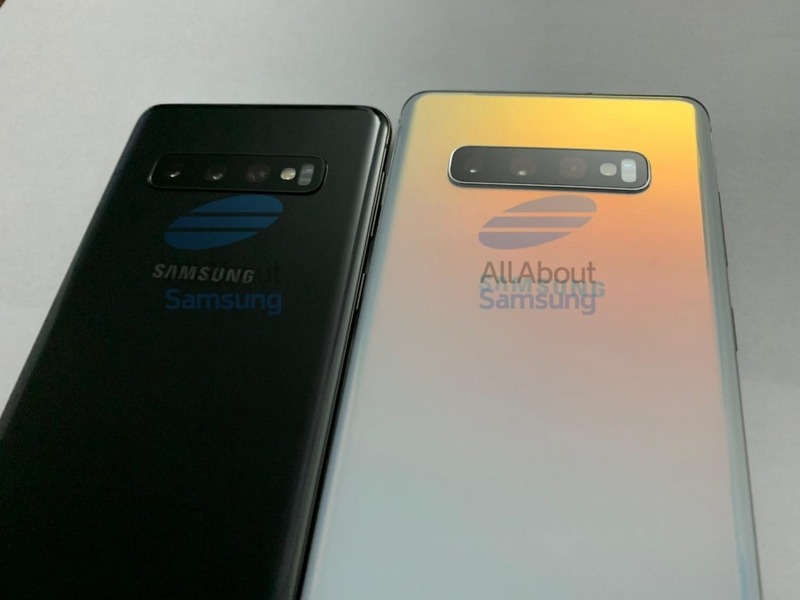 It has curved glass and an unsightly camera housing that seems to grow with each phone release (dual camera on the S10; triple camera on the S10+) in a bad way. Seriously, how can you design a phone to look this pretty and premium only to install a giant rectangular eyesore smack in its middle backside? We do still have bottom-situated speaker, USB-C port, and headphone jack, so that’s good news. The phones look nice! And that’s One UI! Fun.